Four years of Bandcloud. I honestly don't know how that happened. The Leftovers series drafts in Leeds sound artist Anna Peaker for the first mix of 2018. It's a stunning collection of music, an hour of everything from weird folk and harp to chilling noise and dank synthwave. In related news, Anna just put out a collection of tracks that you should very much purchase. Cop here. I first came across Cucina Povera through the Super Studio site/zine/party/compilation series last year. Her work is driven by her rich vocals, singing beautiful meandering lyrics accompanied by smaller wordless phrases chopped up and layered. Hilja is her debut album and it comes on Glasgow's Night School Records. Some songs are soothing, some chilling, while others nod forth with steady clicks. Some songs feel almost medieval. In short, it's a delight. The artist's name, in case you're wondering, comes from an Italian style of cooking based around making do with what one has (literally 'poor kitchen'), and this translates to her bare-bones approach. Lychee is a New York DJ and this is a relatively recent mix she recorded at home. Two hours of banging techno; peak-time stuff. Everything from Orphx and Rrose to Dasha Rush and Lee Gamble, finishing up with some Relaxer and Halal. Here we have a beautiful 11-minute ambient piece. It develops slowly, ever so slowly, with only minor adjustments along the way. It's incredibly soft and muted, but all the more beautiful because of that. The artist, Diane Barbé, is also a researcher interested in urban heritage. Check out her work here. UK-based Spaceship Mark heard a discussion about an incoming levy on takeaway coffee cups on the radio, and decided to set the audio to music. The music is beautiful, a repeated refrain of yearning strings. The views, less so. 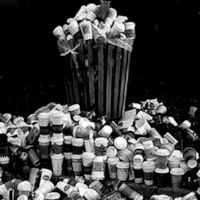 "I couldn't live in a city without constant access to coffee" is about the only thing she says that I agree with. The colour palette is incredibly grey this week. That's the downside of showing you all the artwork I guess. This is a short piece built around echoing percussive sounds and soft, glacial drones. I don't know much about the artist, but I do think it's a dude from Ukraine. He makes music that ranges from glitchy experimental stuff to blissful ambience, and this piece brings those elements together brilliantly. 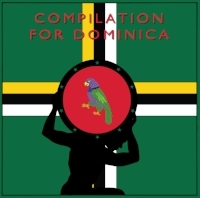 London label Rhythm Section have gathered nearly 30 artists for this fundraising compilation. Mali and Bradley of the RS team are both of Dominican descent and both of their families have been affected by Hurricane Maria last year. All profits from this sale will go to Colihaut In Focus and the Dominica Hurricane Maria Relief Fund. The music is the deep and jazzy emotive house you might expect from the label, with highlights coming from Contours, Ron Obvious, Pitch Black and Elias Mazian, to name a few. Shout out to Jad & The for 'The Sweet Sensual Onion Layers' too. You may recognise one of the tracks on this release from its appearance on a Seagrave compilation last year. 'Crackling Roads' featured stop-start electronic sounds, sharp intakes of breath and gentle piano. The EP features many of those sounds but expands them across different modes and ideas. The title track is a starkly rendered jam that feels too anxious for the club (a bit like me!) but would still work in the right hands. Similarly, 'Data Process' is jerky and awkward but its shredded percussion has a hint of two-step about it that could make for some intriguing transitions. This is a nice and squelchy remix from Matt Karmil. Glistening bells meet mournful synths while gurgling wobs of sound stretch and contract below. There's a hint of tape-stretched beauty, warbling melodies beneath the buried intensity of the beats, like the moment you're drunk and sad, eyes closed and shaking your head on the dance floor. 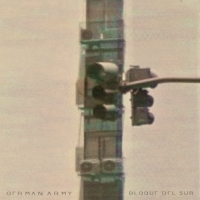 To finish with, this is a split release from German Army and Bloque del Sur on Pakapi Records. The former are based in California; the latter, I believe, in Argentina. The release is interesting not least because rather than go for split sides, each act has two tracks apiece on both sides. I say sides, it's a digital release. There's a lot of strange sound design, with plenty of distorted murk and 80s-influenced beats and guitar (German Army), as well as alien transmissions and synthetic percussive excursions (Bloque del Sur). Think Filter Dread or Beau Wanzer through a South American lens. If you're in Dublin, I'm playing an ambient DJ set before Jay Glass Dubs and Bokeh Versions on Wednesday. Pop along and get weird for 2018.